The Tesco Hudl tablet has been popular for the company, they managed to sell 750,000 units of the original device, and now they have launched its successor, the Tesco Hudl 2 tablet. The Tesco Hudl 2 tablet will retail for £129, and the device comes with some decent specifications, considering its budget price tag. 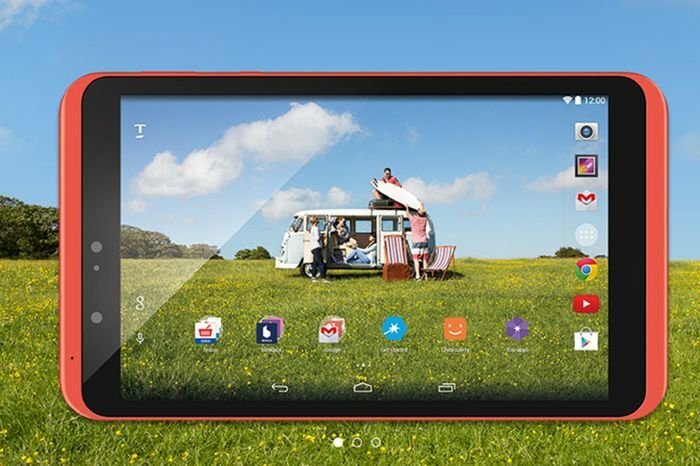 The new Tesco Hudl 2 features a 8.3 inch Full HD display with a resolution of 1920 x 1080 pixels, the device is powered by a quad core Intel Atom processor and there is also 2GB of RAM. This new Tesco tablet comes with Google’s Android OS in the form of Android 4.4 KitKat, and the device will come in a total of eight different colors. The Tesco Hudl 2 Tablet will launch in the UK on the 9th of October, the device will be available to buy in Tesco retail stores from the 9th of October and also through their website on the 8th of October.